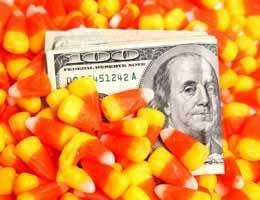 When it comes to money, you want treats -- not tricks. Seemingly good financial ideas can turn out to be anything but. Conversely, other money ideas can have value, even if at first they seemed as appealing as raw broccoli in your Halloween bag. Want to stock up on the financial treats while avoiding the tricks? A few experts share some tips for spotting the differences. A home equity line of credit, or HELOC, can be a trick or a treat depending on your finances and the arrangement, says Jill Gianola, CFP and author of "The Young Couple's Guide to Growing Rich Together." But a lot of homeowners focus only on the sweet side, she says. The treat: "The interest rates are so low right now," Gianola says. "So it seems like a wonderful way to borrow money. They can dip in when they want and out when they want, and all they have to pay is the interest." Most HELOCs have variable rates. "When the interest rates go up, they can go up significantly." Banks can cut or eliminate available credit at any time in response to decreasing home values or changed personal circumstances (such as job loss), Gianola says. After 10 years, you have to start repaying what you borrowed. 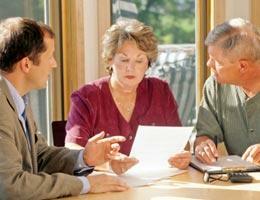 When you sell the home, the HELOC must be repaid immediately. 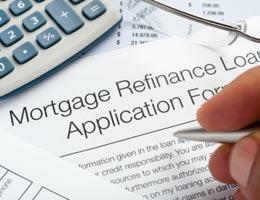 One alternative is to get a fixed-rate cash-out refinance. "A home equity line can be a very good thing," says Gianola. "Just be aware of the potential gotchas." 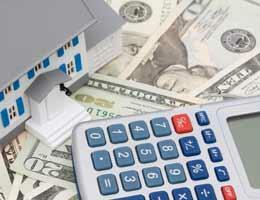 Calculator: Get a home equity loan or a line of credit? Create a news alert for "home equity"
Chances are what you've really received isn't a preapproval notice, but an invitation to apply for a credit card, says John Ulzheimer, president of consumer education for SmartCredit.com. The trick: "A lot of people think they are guaranteed credit," he says. Read it again, and you'll probably notice language advising you that you could be approved for a credit up of "up to" a certain amount, he says. Or it mentions a rate that could be "as low as" a specific (and attractive) annual percentage rate, or APR. But too many times, consumers' eyes skim past any qualifiers, Ulzheimer says. The potential treat: If your credit is good, you could get the card with the advertised terms, he says. But you could also get lesser terms or be denied entirely if you don't qualify. 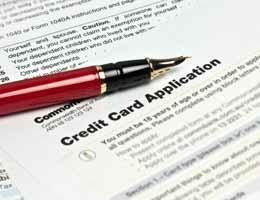 Pull your credit history to gauge your creditworthiness. Shop for a card with the features and terms you want. 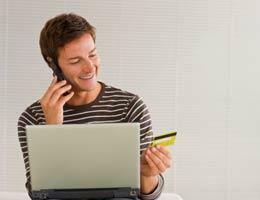 Understand that every time you apply for a card, your score can decrease slightly. Shop first and apply only once, if possible. Like what you see on that mailer? Put that card on your shopping list. The trick: You're minding your own business, and suddenly someone is trying to convince you that your day would be so much better if you'd just buy what they're selling. Avoid those hard-sell offers or, chances are, you won't get a treat for your troubles, says Ric Edelman, author of "The Truth About Money." Whether it's that store card that will save you 10 percent today, a free vacation for attending a time-share pitch or a nice lunch that comes with an investment opportunity for dessert, simply decline, says Edelman. The treat: When you are being "offered an opportunity" to part with your money, "there's no treat," Edelman says. "If you didn't wake up this morning planning to buy it, then don't." You're at the checkout when you get the pitch: Open an instant store card, and you'll save on whatever you're buying today. Whether an on-the-spot credit offer is a trick or a treat depends on you, says David Jones, president of the Association of Independent Consumer Credit Counseling Agencies. Typically, store credit promotions will offer 10 percent to 20 percent off the consumer's purchases the day the applicant opens an account, he says. Instant credit is a way for consumers to acquire more credit than they can repay, Jones says, and that's "one of the biggest ways to have your credit score lowered." Every time you apply for a card, your score can take a hit. Rates on retail cards are often higher than they are on general-use cards. The treat: If you're new to credit, sometimes these retail cards are easier to get, Jones says, but limit it to one or two cards. You get the chance to put your old debt balance on a new card with a zero percent APR. The treat: For the short term, it will save money in interest. And you can put that savings toward the balance. The trick: Whether it remains a treat depends on what you and the card issuer do next, Jones says. "You have to be very careful," he says. "After the grace period is over, the card could be at a relatively high interest rate. It's important that consumers really look at the contract that they've signed." Among the questions to ask about the card: Will the card run a higher rate for your transfer than for regular purchases? How will your payments be applied? Questions to ask yourself: Are you transferring the balance so you can put money that would have gone to interest toward the principal? Or do you just want room on your cards for more debt? Jones has advice for making sure you get a treat with no scary surprises: If you do a balance transfer, put the old cards on ice until you've paid the transferred debt. And don't put any new charges on the new card until you've paid off the transferred balance. Mortgage rates are low and attractive. That means a lot of homeowners think they have to refinance now or lose out, says Linda Sherry, director of national priorities for Consumer Action. While lower rates are a treat for some, refinancing might not be the best move for others, she says. The trick: "It's not easy to refinance unless you have excellent credit, and there may be costs involved that you have to consider," Sherry says. Also, you "could be starting the clock again on a mortgage that you're close to paying off," she says. The treat: If you're getting out of a variable or exotic mortgage into a fixed-rate loan with a steady, affordable monthly payment, it can be a supersweet deal. "Anyone with a 6 percent mortgage may love the idea of getting one at 4.5 percent," she says. "But it's not worth it for everybody." Create a news alert for "refinance"
Love it or fear it, electronic bill paying is more than just a gimmick to save stamps, says Sherry. It can preserve time. It takes time to set up online bill paying. And many consumers worry about entering the wrong information accidentally, Sherry says. With automated payments, you need a cash cushion in your account, Sherry says. Otherwise, you risk bouncing electronic checks. Bills aren't necessarily "paid" the day of the payment. They may take up to a week to process, she says. So if you're not careful, you could pay late inadvertently. You still have to watch your account and keep a running tab on transactions. You save time. You don't have to write checks and run to the mailbox. Automate and you don't have to do anything at all. When automated payments are set up properly, you don't have to worry about late payments, late payment fees and damage to your credit. If you try it, use all the security your computer offers, Sherry says. Set up password protection on your machine. And, if possible, create a locked partition of your hard drive just for your banking activities. Create a news alert for "checking"